It has been a YEAR since our first Minithon! Can you believe that? 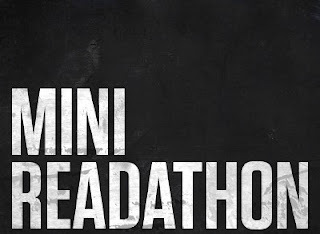 Obviously we're going to celebrate in accepted GIF Admiration Society style: with another Minithon. 1) Books (and snacks) should have the theme of "mini." What does that mean to you? Be ready to tell us! The more of a stretch the better, especially since we're going to be reading all day and that's the only kind of stretching we're into. 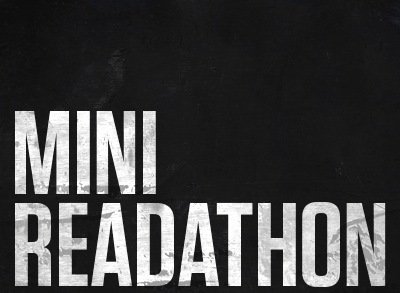 2) Hashtag #minithon on Twitter, which none of us will be on because we will be reading, right? Right. 3) Plan for a starting, mid-thon, and wrap-up post. Unless we decide to bail on the mid-thon one because we were all ignoring "rule" #2 and napping because mini-snacks go down so easily. So grab your mini-themed books, your threadbare excuses, and your mini-snacks; we're a go on Saturday January 11 at 8:00am*, Pacific time for eight WHOLE HOURS. Is there anything I've missed?